We know you’re thinking it so we’ll get it out of the way, “slappin da bass mon.” We assure you, there’s more to the electric bass guitar than simply slapping it. And whether you want to learn some grooving slap funk bass lines or prefer more of that heavy rock sound we can get you there. 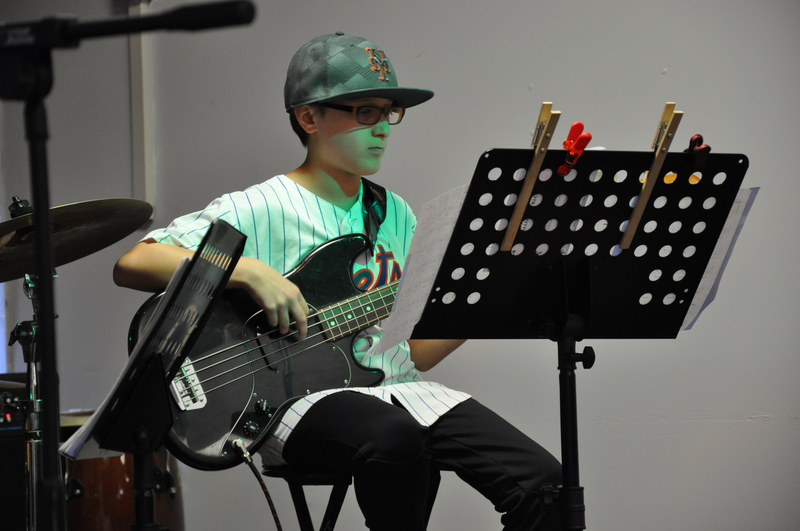 Serving a similar role as the drums, and combined we typically refer to the drums and bass as the rhythm section in many styles of music, having great timing is largely important and focused on in bass lessons. Known for its simple yet iconic 4 string design, 5 and 6 string basses are also fairly common, pushing the bass to have a wider range of pitch possibilities. Bass lessons are centered around creating a good foundation in rhythm and harmony. A focus on genres would be Rock, Pop, Funk, Latin, Jazz and Blues where the bass is most notably used giving students a well rounded learning experience. Whether you’re just starting out or need more advanced bass instruction to improve your sound and technique we have the staff to help you out.